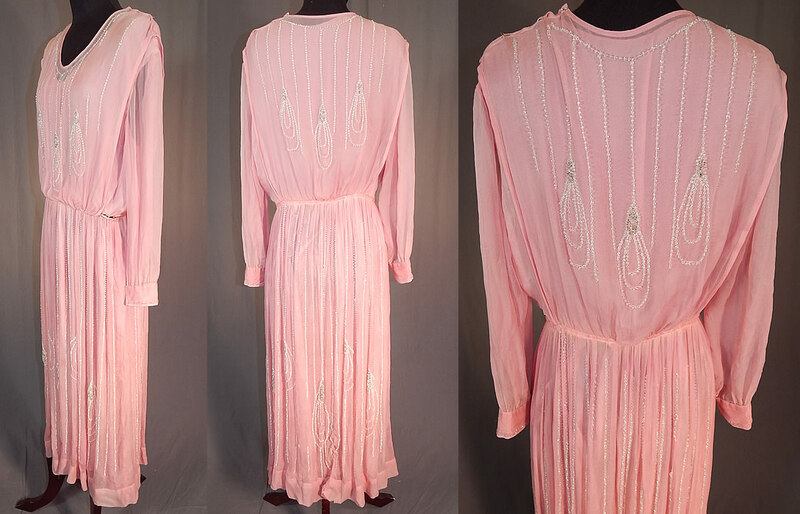 This vintage pink pastel silk chiffon crystal beaded tear drop evening gown dress dates from 1920. 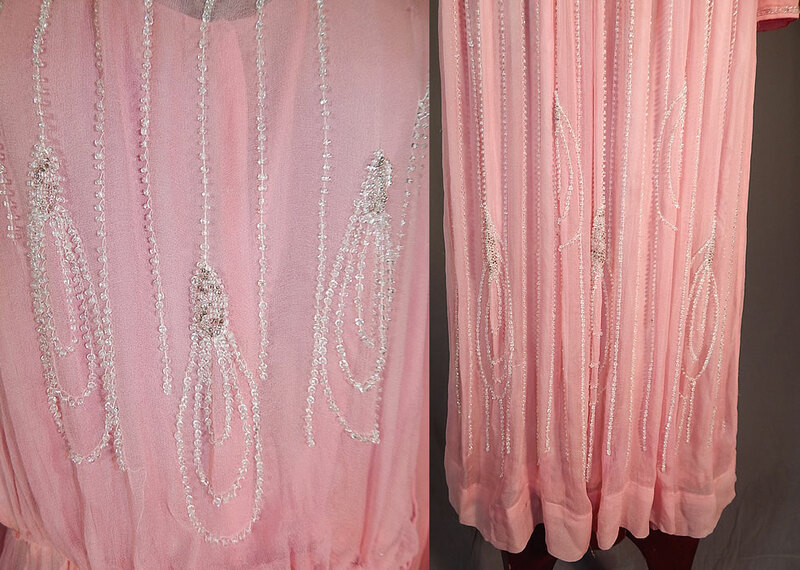 It is made of a pink pastel sheer silk chiffon fabric with crystal beading done in a hanging tear drop looped ornament design. 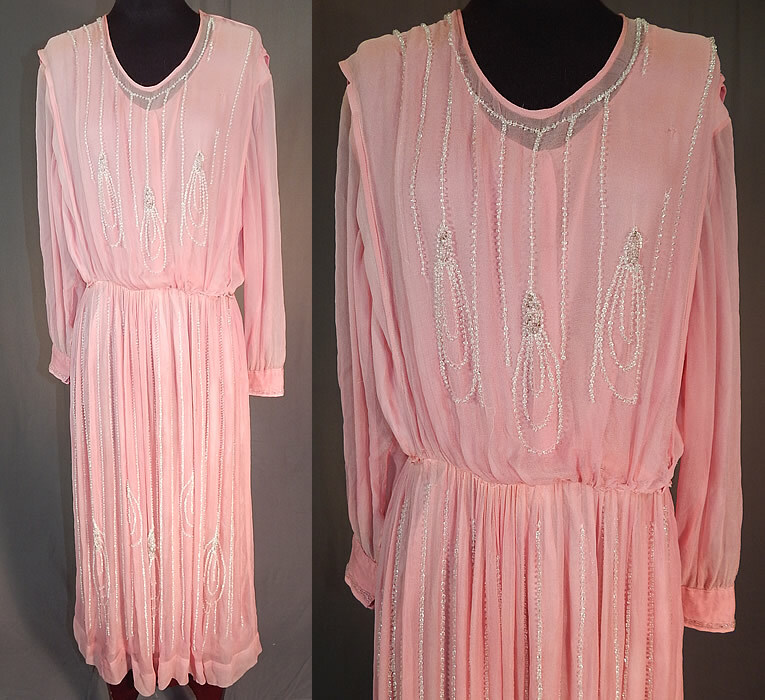 This pretty pink evening gown dress is a long tea length with a fitted inside waistband, a beaded overlay blouse, long full sleeves with fitted cuffs, snap closures along the side top, skirt waistband and is fully lined with pink silk slip sewn inside. The dress measures 48 inches long, with a 26 inch waist, 36 inch bust and 20 inch long sleeves. It is in good condition, with only some missing beads on the top (see close-up). This is truly a wonderful piece of wearable beaded textile art!